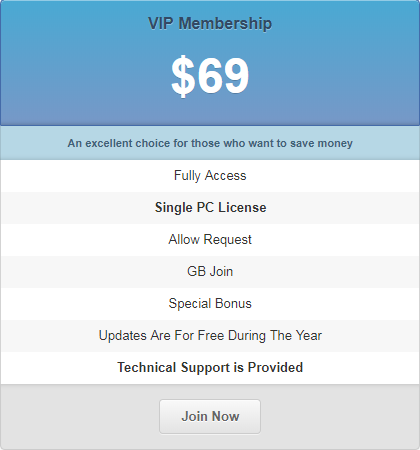 We are very happy to say that our brand new VIP section is now only 69$ Year Equivalent to 6$ / Month Come and join the Elite Clan! . You know we shared many [EXCLUSIVE] good stuff on VIP-Section like Latest VIP SEO Tool, Big VIP's Premium Backlinks Packages & Packets Up to date, Private Support, Tips&Trick, Crack Request, and Many More . An updated collection of Internet Marketing Tools which are required for everybody who plans to make serious money on the Internet. 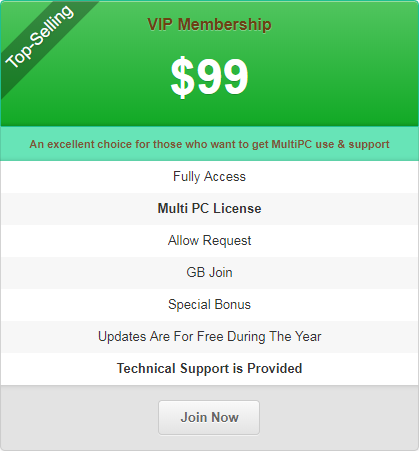 And To be VIP-MEMBER just for $69/Year No Addtional Cost its Cheap Price !! And Its Worth !! So what your waiting for ? *Note: Support Centre is where you and only Staff of this website can see and reply to your threads.